This charming book, filled with colourful and engaging illustrations, tells the story of a boy called Lee who refuses give up his dummies. This book aids parents with children who are reluctant to stop using their dummies. Michelle McKenna lives in Barry, Vale of Glamorgan. A mum of two, she has worked very closely with children over the past few years. Not only has she had the battle of getting rid of her son’s dummies, she has seen numerous parents and children struggling with the same issue. 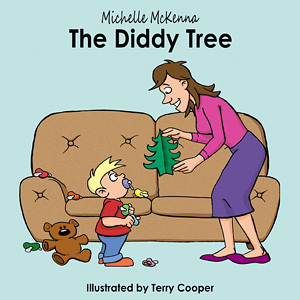 This has inspired Michelle to write a book, which is not only a lovely story, but also an aid to parents and carers who are facing the same issue.